More than ever, the world needs strong, effective and ethical leadership. Asia is the world s fastest growing region. Its success in the 21st century will depend largely on the quality of its leaders.Learning from Leaders in Asia captures the rich experiences of leaders operating in the region, identifies the key elements of leadership and offers practical advice on how to make a lasting impact. An important and timely book for all who want to seize the moment. Learning from Leaders in Asia provides a solid understanding of the challenges faced by leaders in Asia today and tomorrow. It provides real life insights by leaders across various disciplines in overcoming challenges such as talent acquisition and retention, China strategies and globalization to name but a few. An invaluable read. 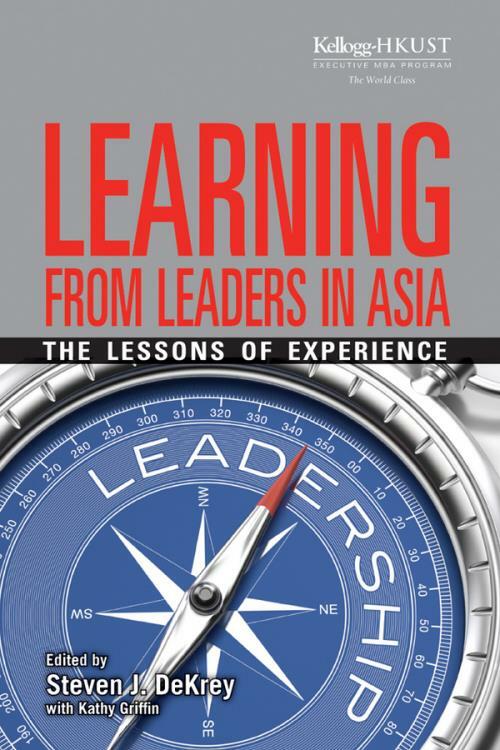 Learning from Leaders in Asia is a must–read for any business person in the world who wants to gain perspectives from Asia–based multinationals. It offers valuable insights as Asia s importance rises. William Fung, Group Managing Director, Li & Fung Ltd.
Learning from Leaders in Asia presents a unique opportunity for readers to learn from the insights of the business executives who are part of one of the leading EMBA programs in the world. Having interacted with these talented men and women I can say with full confi dence that they truly understand the issues of building and running a global business. That makes this book well worth reading and I highly recommend it. Jim Thompson, Chairman, Crown Worldwide Holdings Ltd.
Learning from Leaders in Asia cuts through the data and popular opinions to offer an on–the–ground view of the region s latest developments. Combining the acute perceptions and broad sweep of Leadership Experiences in Asia, this book examines the complex issues and offers fundamental insights into the business cultures of a host of countries. In lucid terms, it spells out the unprecedented opportunities and challenges facing companies wanting to devise a strategy that effectively adapts to the Asian reality. This extraordinary book is the sequel to Leadership Experiences in Asia, Dr. DeKrey s first effort to describe the functioning of leadership in the Asian contexts. There is no–one with better credentials for doing this than DeKrey, an American who has lived and worked in Hong Kong for more than two decades and who has experienced the very best examples of leadership both in the West as well as in Asia. There is no one whose leadership skills cannot be enhanced by the principles and illustrations laid out in this book. This timely and highly relevant book tackles the critical issues that keep general managers awake at night as they strive to build a sustainable and profitable business in Asia and, in particular, China. The triple challenges of building talent, encouraging breakthrough innovation and ensuring strong governance may be global, but they face added urgency and complexity in Asia given the very high expectations for growth and unique cultural challenges. The blend of theory, strategy and highly practical experience in this book provides invaluable advice for leaders who are determined to build a legacy in Asia. Introduction: About Our Asian Leaders. Chapter 1. The War for Talent. Chapter 2. Globalization and Asian Business. Chapter 3. China and the Go West Policy. Chapter 4. Achieving Stability in a Volatile World. Chapter 5. Innovate and Lead. Chapter 6. The Changing Landscape of Corporate Governance. Chapter 7. Building Brands Across Asia. Chapter 8. Corporate Social Responsibility: Enlightened Self–Interest. Chapter 9. Learning from Our Leaders. Appendix 1. Introducing Out Distinguished Speakers. Appendix 2. From Socialized Institution to Privatized Corporation: The Link Real Estate Investment Trust Experience (A Case Study).